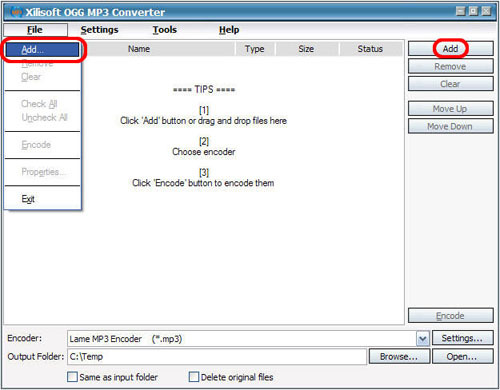 How to convert OGG to MP3 with OGG MP3 Converter? Follow the steps to complete the task. Free download at: OGG MP3 Converter (No-Limited Version). Start the OGG to MP3 Conversion . You can start to convert OGG to MP3 by clicking "Encode" button. 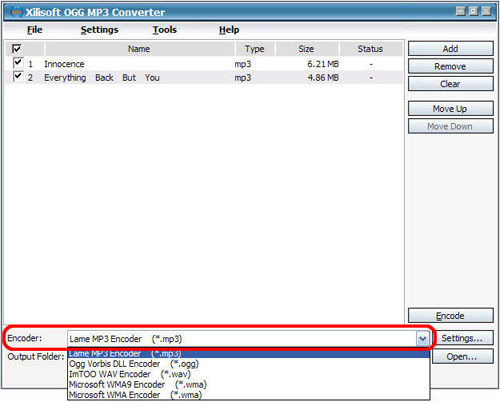 Xilisoft OGG MP3 Converter can help you convert OGG to MP3 or MP3 to OGG with great music quality.